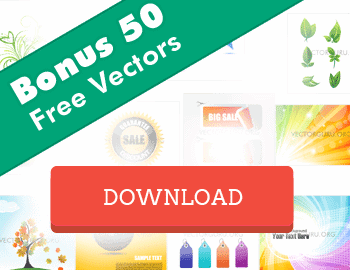 VectorGuru brings you another exclusive freebie this month! Download Free Multimedia Icon Set offered to you from VectorizeImages, which includes 100+ essential high quality icons for your Commercial and Personal projects. The icons are designed using the solid design style and each of it is expertly crafted into a 16 x 16 grid. And since its offered in Vector formats, you can edit and customize it as you like. Why not give it a try in one of our favourite Illustrator Alternatives? VectorizeImages provides professional raster to vector conversion and background removal services. Designers at VectorizeImages convert photo’s, images and sketches to vector images. Besides, they also offer Embroidery Digitizing and paper to CAD conversions. If you are looking for somebody to perfectly redraw your sketches, logos, illustrations or photos to a 100% fully scalable vector for print, this would be the ideal place to go. The Free Multimedia Icon Set pack contains 100+ icons in four different formats which can be opened using vector applications like Adobe Illustrator, CorelDraw or Inkscape, or other image editing applications like Photoshop. Download the Free Multimedia Icon Set in the following formats. Along with the awesome free download, here’s an irresistible offer from VectorizeImages, exclusively for VectorGuru fans. If you’ve checked out VectorizeImages and would be interested to use any of their services, use the code ‘VECTORGURU’ when you contact them to get 20% Discount right-away. We hope you make the most of the Free Multimedia Icon Set and the 20% Discount offer at VectorImages. Remember to subscribe to our newsletter so that you don’t miss out on awesome treats in the future!